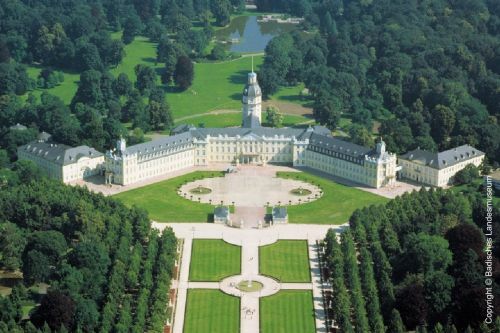 The ISPRS Technical Commission I Symposium will take place October 10-12, 2018 in Karlsruhe (Germany). The Technical Commission I Sensor Systems intend to organize the Symposium's technical sessions in single-track fashion to support maximum information, interaction and communication. For allowing the presentation and publication of “cutting edge” technical papers as well as early concepts or latest, highly application-relevant results, we plan two submission possibilities: full papers to be assessed by peer-review for ISPRS Annals and review based on abstracts for ISPRS Archives. You are encouraged to submit a paper or abstract for oral or poster presentation. 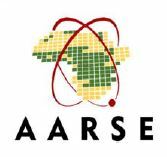 All accepted papers will be published in either the International Annals (double-blind full paper review) or the International Archives (abstract review) of the Photogrammetry and Remote Sensing and Spatial Information Sciences. Reconnect with old friends or make new ones at the ISPRS Technical Commission I Symposium. 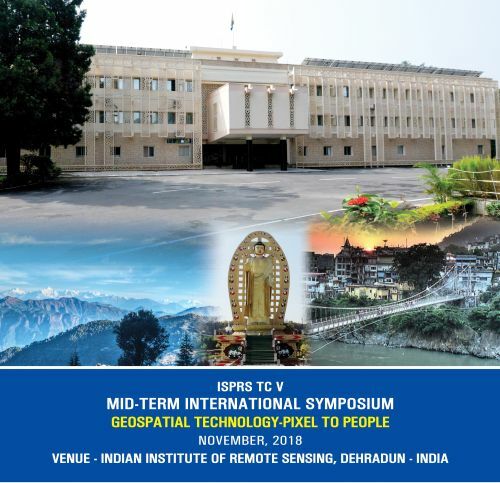 With great pleasure, we invite you to the International Society for Photogrammetry and Remote Sensing (ISPRS) Technical Commission V (TCV) Symposium on Education & Outreach – “Geospatial technology: Pixel to People” at Indian Institute of Remote Sensing, Dehradun, India during Nov 20-23, 2018. With increasing demand of geospatial information for sustainable development goals of nations, innovative approaches for capacity building to cope up with advanced technologies and software solutions are in high demand. The ISPRS TCV is actively involved under eight working groups with pioneers to deal multi-tier training for all levels; cross border education; e-learning and online web-based resource sharing; citizen science and its societal benefit applications; innovative technologies for training civil engineers and architects; open source tools and geo web services. Please visit: http://www2.isprs.org/commissions/comm5.html for details. The WG leaders will present the outcome of activities, share their ideas and experience with the participants from last two years. Four pre-symposium tutorials on the emerging topics are planned: Big Data Analytics, Ground Based 3D Modeling, Citizen Science and its applications and Space Education for Educators as part of APRSAF. There will be also special lectures from ISPRS and Indian Society of Remote Sensing (ISRS). We cordially invite you to participate and submit your research contributions on the above topics by submitting abstracts and papers. These will be published in ISPRS Archives and Annals. June 1, 2018 is the last date for submitting abstracts and papers. Please visit: http://tc5-symposium2018.isrs-india.org/ for further details. On the occasion of becoming a new Sustaining Member of ISPRS, Brilliant Remote Sensing Labs FZ LLE offered The ISPRS Foundation (TIF), study grants from the Remote Sensing Portal to worthy participants, for all or a selection of the ERDAS IMAGINE software training courses. A total number of 115 trainees from 40 countries enrolled in the courses through the ISPRS Foundation website. There were 56 academic trainees, and 59 non academic trainees. Professions of the trainees were: Agriculturalists, Computer Engineers, Environmentalists, Geographers, Geologists, GIS Specialist, Petrologists, Remote Sensing Specialist, Soil Specialists, Surveyors, Urban Planning, others. 15 trainees selected no. 1 entitled ‘Space Science and Satellites Overview for General Managers & Supervisors’; 51 trainees selected course no. 2 entitled ‘Remote Sensing Fundamentals’; and 49 trainees selected course no.5 entitled: ‘Satellite Images Visual Interpretation’. Duration of the offer was two months. The total value to The ISPRS Foundation of the 115 courses, according to Brilliant Remote Sensing pricing page was $27,900 which was happily offered to the Geospatial community by Brilliant Remote Sensing. The ISPRS Foundation wishes to thank Brilliant Remote Sensing Labs for this generous offer, which was clearly well received by the trainees. Travel grants were received by the following 8 applicants for attendance at the ISPRS Technical Commission III Symposium, held in Beijing, China from 7-10 May 2018. Travel grant recipients receiving their certificates during the opening ceremony. Council would like to inform the ISPRS community that the Director of the Geospatial Week 2019, Hussein Abdulmuttalib from Dubai Municipality, has asked ISPRS to postpone the meeting in Dubai to 2021, putting it under the patronage of the Mohammed Bin Rashid Space Centre, UAE. In the wake of this development, ISPRS invited the University of Twente which narrowly lost the bid against Dubai Municipality last September, to host GSW 2019 in Enschede with George Vosselman as Director. The University of Twente has accepted this offer and will organise the Geospatial Week from June 10-14, 2019. More details will be available soon. At the same time, ISPRS has agreed to tentatively consider Dubai as the location of GSW 2021. At the same time, we would also like to express our gratitude to CIG, who supported ISPRS for many decades. In 1972, they organised an ISPRS Congress and successfully nominated Dr. Samuel Gamble as ISPRS President during the term 1972-1976. They hosted several Technical Commissions, including TC I (2008-2012), TC II (1992-1996), TC IV (1976-1980, 2000-2004), and TC V (1980-1984) and presently host one Council Member and two Technical Commission Vice-Presidents during the current term 2016-2020. CIG also sponsored the Samuel Gamble Award from 1988-2017. It is sad to lose a member like CIG. ISPRS Council also warmly welcomes our new Sustaining Members, BUCEA, from China and the Faculty of Technical Science of the University of Novi Sad from Serbia. 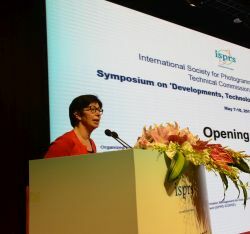 In a further attempt to reach out to scientists, particularly in Latin America and China, ISPRS now have the ISPRS brochure translated and available in Spanish, Portuguese and Chinese on the ISPRS web site. The ISPRS 2016-17 Biennial Report with reports from Council, Technical Commission Presidents, ISPRS Committees and other Society activities, publications and events in that period can be found here…. 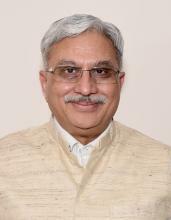 Shailesh Nayak, Director of the National Institute of Advanced Studies at the Indian Institute of Science Campus in Bengaluru, was unanimously approved as the new ISPRS Regional Representative of Asia. ISPRS Council is very pleased to have won Mr. Nayak for this office and thank him for accepting. We look forward to a fruitful collaboration. Thanks also go to the past Asian Regional Representative, Lal Samarakoon, from Thailand. 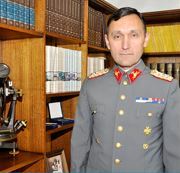 In December 2017, Lieutenant Colonel Eduardo Cayul Aristondo was appointed director of the Instituto Geographico Militar, ISPRS Ordinary member for Chile, taking over from Colonel José Riquelme Munoz. The Director of IGM is the official representative of the Chilean State before ISPRS and is consequently the head of Sociedad Chilena de Fotogrametria y Sensores Remotos which is located at IGM. While congratulating Eduardo Cayul Aristondo on his new position, ISPRS also thanks Colonel Munoz for his past support of the Society. We look forward to further successful collaboration with our Chilean Ordinary Member under the direction of Eduardo Cayul Aristondo. By decision of the Central Board of the “Russian Society of Geodesy, Cartography and Land Management” dated March 5, 2018, the Feodosy Nikolaevich Krasovsky Award for the best scientific and technical developments in geodesy and cartography was appropriated to the founders of the RACURS company – Victor Adrov, Alexander Chekurin, Andrey Sechin, and Alexander Smirnov - for the creation of “Digital photogrammetric system PHOTOMOD”. 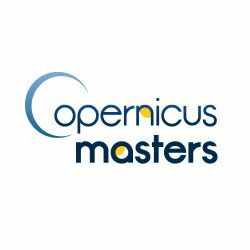 The Copernicus Masters is an international competition that awards prizes to innovative solutions, developments and ideas for business and society based on Earth observation data. Big data produced by Earth observation holds huge potential for the creation of innovative products and services. A wide variety of industries and areas of public interest stand to profit from the advances of the Copernicus programme. The Copernicus Masters has developed into the moving force promoting cutting-edge solutions. Annually, different prize categories tackle global challenges with revolutionary competition entries in the fields of deep learning, IoT, big data analytics, smart mobility and industry 4.0 – just to name a few. As partner of the Copernicus Masters, the German Aerospace Center, DLR is looking for innovative ideas that use Earth observation data to drive the sustainable management of our limited natural resources and foster human well-being. 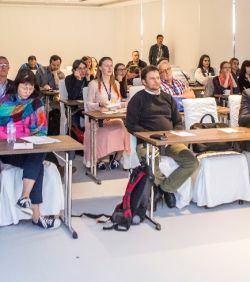 In addition to using Copernicus data and other Earth observation satellite data, participants are encouraged to supplement their ideas with other sources of data, such as information generated by crowd-sourcing or in-situ measurements. Ideas should support professionals working in these areas, inform the public, or empower public authorities to take action and solve issues on a local, national, or global scale. The Symposium will feature 4 days with plenary and parallel sessions, oral and poster presentations as well as keynote speakers from research and commercial domains and an exhibition of the most important business players in the photogrammetric and geospatial domain. What are the next big challenges in EO? Do we need more international projects and missions or do we need more national satellites? To register, please visit: http://www.unoosa.org/oosa/en/ourwork/ unispaceplus50/symposium.html. With a special session for young scientists and students and Exhibition, organized by the Union of Surveyors and Land Managers in Bulgaria. See the brochure here …. 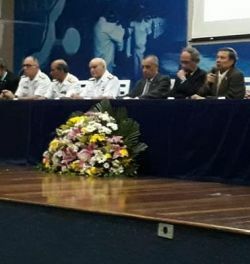 SBC organised the XXVII BRAZILIAN CONGRESS OF CARTOGRAPHY and the XXVI EXPOSICARTA with the theme "Cartography and National Sovereignty: Consolidation of Borders and Boundaries", at the Marine Military School in the city of Rio de Janeiro. Gi4DM Conference 2018, organised by the ISPRS ICWGIII/IVa, was completed successfully. 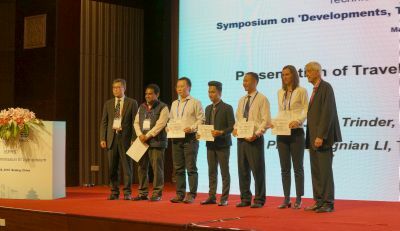 The conference addressed diverse topics related to methodologies and technologies within a unique platform keeping participants up to date with the latest advances in geoinformation applicable to disaster management. Read the complete report here… . 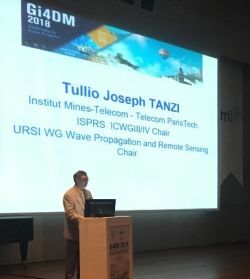 Brief Summary of ISPRS Technical Commission III Mid-term Symposium - "Developments, Technologies and Applications in Remote Sensing"
A total of 763 participants from 52 countries and regions took part in the symposium, among them 34 invited guests, 10 student volunteers, 54 exhibitors, and 16 visitors. 48 ISPRS officers attended this symposium, including 4 Honorary Members, 5 Council Members, and 39 WG chair/co-chair/secretaries from TC III, TC II and TC IV. .
Prof. Dr. Gerd Hildebrandt, former head of the Department of Aerial Imaging and Remote Sensing at the Albert-Ludwigs University Freiburg, passed away on December 11, 2017, at the age of 95. 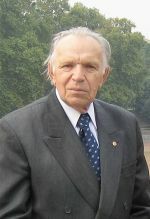 The former Second Vice President of the International Society for Photogrammetry and Remote Sensing, Professor Ivan Antipov, 91, passed away on Friday, March 23, 2018 at his home in Novosibirsk, Russia. Galván-Tejada, Carlos E., López-Monteagudo, F. E., Alonso-González, O., Galván-Tejada, Jorge I., Celaya-Padilla, José M., Gamboa-Rosales, Hamurabi, Magallanes-Quintanar, Rafael, Zanella-Calzada, Laura A.
Juhász, Levente, Hochmair, Hartwig H.
Berendsen, Margo E., Hamerlinck, Jeffrey D., Webster, Gerald R.
Kmoch, Alexander, Uuemaa, Evelyn, Klug, Hermann, Cameron, Stewart G.
Uhl, Johannes H., Leyk, Stefan, Chiang, Yao-Yi, Duan, Weiwei, Knoblock, Craig A.
Garnett, Ryan, Adams, Matthew D.
Hann, Courtney H., Stelle, Lei Lani, Szabo, Andrew, Torres, Leigh G.
Hoyos, Laura E., Cabido, Marcelo R., Cingolani, Ana M.
2D Cartography Training: Has the Time Come for a Paradigm Shift? Carbonell-Carrera, Carlos, Jaeger, Allison J., Shipley, Thomas F.